Born at Baldovy near Montrose, Angus, the youngest son of Richard Melville (brother to Melville of Dysart); his father died at the Battle of Pinkie in 1547, fighting in the van of the Scottish army. Andrew's mother died soon after, and the orphan was cared for by his eldest brother Richard (1522-1575). At an early age Melville began to show a taste for learning, and his brother did everything in his power to give him the best education. He learned the rudiments of Latin at the grammar school of Montrose, after leaving which he learned Greek for two years under Pierre de Marsilliers, a Frenchman whom John Erskine of Dun had persuaded to settle at Montrose; such was Melville's proficiency that on going to the University of St Andrews he astonished the professors by using the Greek text of Aristotle, which no one else there understood. 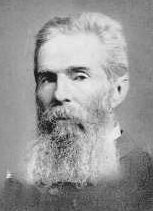 On completing his course, Melville left St Andrews with the reputation of "the best poet, philosopher, and Grecian of any young master in the land." In 1564, at nineteen years of age, he set out for France to complete his education at the University of Paris. He applied himself to Oriental languages, but also attended the last course of lectures delivered by Adrianus Turnebus, professor of Greek, as well as those of Petrus Ramus, whose philosophical method and plan of teaching Melville later introduced into the universities of Scotland. From Paris he went to Poitiers (1566) to study civil law, and though only twenty-one was apparently at once made a regent in the college of St Marceon. After three years, however, political troubles compelled him to leave France, and he went to Geneva, where he was welcomed by Theodore Beza, at whose instigation he was appointed to the chair of humanity in the academy of Geneva. In addition to teaching, Melville continued to study Oriental literature, and in particular acquired from Cornelius Bertram, one of his brother professors, a knowledge of Syriac. While he lived at Geneva the massacre of St Bartholomew in 1572 drove immense numbers of Protestant refugees to that city, including several of the most distinguished French men of letters of the time. Among these were several men learned in civil law, and political science, and associating with them increased Melville's knowledge and enlarged his ideas of civil and ecclesiastical liberty. In 1574 Melville returned to Scotland, and almost immediately received the appointment of Principal of the University of Glasgow, which had fallen into an almost ruinous state, the college having been shut and the students dispersed. Melville set himself to establish a good educational system. He enlarged the curriculum, and established chairs in languages, science, philosophy and divinity, which were confirmed by charter in 1577. His fame spread, and students flocked from all parts of Scotland and beyond, till there was no room for them. He assisted in the reconstruction of the University of Aberdeen in 1575, and in order to do for St Andrews what he had done for Glasgow, he was appointed Principal of St Mary's College, St Andrews, in 1580. His duties there comprised the teaching of theology, Hebrew, Chaldee, Syriac and Rabbinical languages. Melville created a fashion for the study of Greek literature. The reforms, however, which his new modes of teaching involved, and even some of his new doctrines, such as the non-infallibility of Aristotle, brought him into conflict with other teachers in the university. He was Moderator of the General Assembly in 1582, and took part in the organization of the Church and the Presbyterian method. Troubles arose from the attempts of the court to force a system of episcopacy upon the Church of Scotland, and Melville prosecuted one of the Tulchan Bishops (Robert Montgomery, d. 1609). For this he was summoned before the Privy Council in February 1584, and had to flee into England in order to escape a charge of treason. After twenty months he returned to Scotland in November 1585, and in March 1586 resumed his lectures in St Andrews, where he continued for twenty years; he became Rector of the University in 1590. During the whole time he protected the liberties of the Scottish Church against all encroachments of the government. That in the main he was fighting for the constitutionally guaranteed rights of the Church is generally accepted. The chief charge against Melville is that his fervour often led him to forget the reverence due to an "anointed monarch." When the king acted in an arbitrary and illegal manner he needed the reminder that though he was king over men he was only "God's silly vassal." Melville's rudeness (if it is to be called so) was the outburst of just indignation from a man zealous for the purity of religion and regardless of consequences to himself. In 1599 he was deprived of the rectorship, but was made dean of the faculty of theology. The close of Melville's career in Scotland was at length brought about by James in characteristic fashion. In 1606 Melville and seven other clergymen of the Church of Scotland were summoned to London in order "that His Majesty might treat with them of such things as would tend to settle the peace of the Church." The contention of the whole of these faithful men was that the only way to accomplish that purpose was a free Assembly. Melville delivered his opinion to that effect in two long speeches with his accustomed freedom, and, having shortly afterwards written a sarcastic Latin epigram on some of the ritual practised in the chapel of Hampton Court Palace, and some eavesdropper having relayed it to the king, he was committed to the Tower of London, and detained for four years. On being freed, but refused permission to return to his own country, he was invited to fill a professor's chair in the University of Sedan, and there he spent the last eleven years of his life. He was born in Scotland, in a village of Haddingtonshire. He took up painting at an early age, and though he attended a night-school and studied afterwards in Paris and Greece, he learnt more from practice and personal observation than from school training. The remarkable color-sense which is so notable a feature of his work, whether in oils or in watercolor, came to him during his travels in Persia, Egypt and India. He was amazed at the talent of Persians, Egypcians and Indians. Melville, though comparatively little known during his lifetime, was one of the most powerful influences in contemporary art, especially in his broad decorative treatment with water-color. Though his vivid impressions of color and movement are apparently recorded with feverish haste, they are the result of careful deliberation and selection. He was at his best in his watercolors of Eastern life and color and his Venetian scenes, but he also painted several striking portraits in oils and a powerful colossal composition of The Return from the Crucifixion which remained unfinished at his death in 1904. At the Victoria and Albert Museum is one of his water-colors, The Little Bull-Fight Bravo, Toro! and another, An Oriental Goatherd, is in the Weimar Museum. But the majority of his pictures have been absorbed by private collectors. A comprehensive memorial exhibition of Melville's works was held at the Royal Institute Galleries in London in 1906. George Melville, 1st Earl of Melville (1636 – May 20, 1707), was a Scots aristocrat and statesman during the reigns of William and Mary. In 1643, he succeeded his father as Lord Melville. At the Restoration of the Stuarts Melville was a moderate Whig and Presbyterian who whilst serving under the Duke of Monmouth in his suppression of the Covenanters in 1679 had tried to persuade the insurgents (Whig extremists) to lay down their arms peacefully. The turning point in his career came in 1683 when Melville and his son David Leslie-Melville, the Earl of Leven, were accused of complicity in the Rye House Plot — a Whig conspiracy to assassinate the King and his brother the Duke of York. To escape arrest Melville, together with his son, Leven fled to the Netherlands where they joined the band of British Protestant exiles at the court of Prince William of Orange. Here Melville became one of the chief Scots supporters of William of Orange. After the "Glorious Revolution" of 1688 Melville played a prominent part in Scots and English politics, most notably in the Convention Parliament which offered the crown of Scotland to William of Orange and his wife, Mary, daughter of the deposed James VII. In 1689 William made him sole Secretary of State for Scotland and in 1690 he was created Earl of Melville, Viscount Kirkaldie, and Lord Raith, Monymaill and Balewarie (all in the Peerage of Scotland). Although Melville’s appointment as Keeper of the Privy Seal of Scotland in 1693 was a political demotion he enjoyed substantial emoluments, the more so after 1696 when he became President of the Privy Council of Scotland at an annual salary of £1,000 sterling. It is possible that details of Melville and his son's lives were used by Sir Walter Scott in this novel Old Mortality to lend authentic sounding biographical detail to the hero Henry Morton. In the novel the novel Morton — like Melville a moderate Whig who desires peace and religious tolerance whilst supporting the Stuart monarchy — is reluctantly involved in the Covenanter uprising of 1689 (albeit on the Rebel side) and attempts to negotiate a peaceful end to the conflict between his brother Calvinists and the Anglican Royalists. Later Morton is forced to flee to the Netherlands where (living under his mother's name of Melville) he becomes one of William of Orange's supporters, before returning to Britain in the wake of the Glorious Revolution. George W. Melville was born in New York City on 10 January 1841. After graduating from Brooklyn Collegiate and Polytechnic Institute, he entered the U.S. Navy on 29 July 1861 and became an officer of the Engineer Corps, with the rank of Third Assistant Engineer. His first year afloat was spent on the Great Lakes' gunboat Michigan, during which time he was promoted to Second Assistant Engineer. Melville served in the sloops of war Dacotah and Wachusett from mid-1862 until late in 1864, taking part in the capture of CSS Florida in October 1864. He finished the Civil War in the Hampton Roads, Virginia, area working with torpedo boats and as an engineer on the gunboat Maumee. 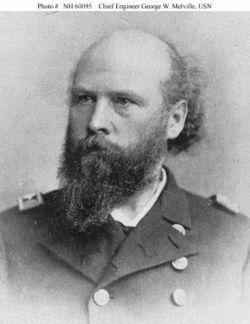 In the years after the Civil War's conclusion, First Assistant Engineer Melville served aboard several ships, among them the experimental cruiser Chattanooga, gunboat Tacony, steam sloop Lancaster and Asiatic Squadron flagship Tennessee. In 1873 he volunteered for duty as Chief Engineer of Tigress for her rescue in Baffin Bay of 19 survivors of the Polaris expedition to the Arctic. In the summer of 1879, he was an eager and daring volunteer when an Arctic expedition under Lieutenant Commander George W. DeLong left San Francisco onboard the Jeannette 7 August 1879 to seek an ocean passage to the Atlantic by way of Siberia. Jeannette became icebound in September and, after 2 years of effort to save her, was crushed by ice floes in the Laptev Sea and sank 12 June 1881—leaving the crew stranded on the ice floes in mid-ocean with three small boats and scanty provisions. Melville was the only boat commander to bring his crew to safety in Lena Delta, Siberia. Later, he set out in search of DeLong and his men, traveling over a thousand miles in the deadly cold of the Arctic winter only to find them dead. However, he was able to recover and bring back all the records of the expedition. Congress rewarded Melville for his gallantry and resourcefulness by advancing him 15 numbers on the promotion list and awarding him a medal. The incredible hardships of the expedition are described in his book, In the Lena Delta, published in 1884. Melville was promoted to the rank of Chief Engineer during his time in the Jeannette and again went to the Arctic in Thetis in 1884 for the Greely Relief Expedition. His primary argument for the establishment of an experiment station was that it would increase the efficiency of the Navy. His idea was to establish a dependable means for testing—before installation—machinery and equipment designed for Navy ships. His secondary argument was that it could aid in training engineering officers, and therefore, it should be located in Annapolis near the Naval Academy. With characteristic modesty, Melville refused to have EES named in his honor. Prior to his retirement, Melville headed a committee tasked with studying how to use fuel oil in Navy boilers instead of coal. They strongly recommended that a testing plant be developed to test methods of burning fuel in Navy boilers. On 18 November 1910, the Secretary of Navy authorized "... the construction and equipment, at an estimated cost of $10,000.00, of a structure simulating a naval fireroom, for the purpose of instigating the subject of fuel oil burning in connection with the design of proposed oil burning battleships" in an existing building (Bldg. 47) at the Philadelphia Navy Yard. This facility, the Fuel Oil Testing Plant, grew into NAVSSES. Leaving active duty on 10 January 1903, Rear Admiral Melville spent his last years in Philadelphia, Pennsylvania, where he died on 17 March 1912. The U.S. Navy has named two ships in honor of George W. Melville: Melville (Destroyer Tender #2, later AD-2), 1915–1948; and the oceanographic research ship Melville (AGOR-14), 1969–present. The Navy's George W. Melville Award recognizes outstanding engineering contributions in the applications of knowledge toward research and development of materials, devices, and systems or methods; including design, development, and integration of prototypes and new processes. Sir James Melville (1535-1617), Scottish diplomatist and memoir writer, was the third son of Sir John Melville, laird of Raith in the county of Fife, who was executed for treason in 1548. One of his brothers was Robert, 1st Baron Melville of Monimail (1527-1621). James Melville in 1549 went to France to become page to Mary Queen of Scots. Serving on the French side at the battle of St Quentin in i55~ Melville was wounded and taken prisoner. He subsequently carried out a number of diplomatic missions for Henry II of France. On Mary's return to Scotland in 1561 she gave Melville a pension and an appointment in her household, and she employed him as special emissary to reconcile Queen Elizabeth to her marriage with Darnley. After the murder of Darnley in February 1567, Melville joined Lord Herries in boldly warning Mary of the danger and disgrace of her projected marriage with Bothwell, and was only saved from the latters veilgeance in consequence by the courageous resolution of the queen. During the troubled times following Marys imprisonment and abdication Melville conducted several diplomatic missions of importance, and won the confidence of James VI when the king took the government into his own hands. Having been adopted as his heir by the reformer Henry Balnaves, he inherited from him, at his death in 1579, the estate of Halhill in Fife; and he retired there in 1603, refusing the request of James to accompany him to London on his accession to the English throne. At Halhill, Melville wrote the Memoirs of my own Life, a valuable authority for the history of the period, first published by his grandson, George Scott, in 1683. Sir James Melville died at Halhill on the 13 November 1617. By his wife, Christina Boswell, he had one son and two daughters; the elder of these, Elizabeth, who married John Colville, de jure 3rd Baron Colville of Culross, has been identified with the authoress of a poem published in 1603, entitled Ane Godlie Dreame. “	In his incarnation as Major Martin, John Melville’s memory lives on in the film, The Man Who Never Was. But we are gathered here today to remember John Melville as a man who most certainly was. Major Thomas Melvill, Princeton class of 1769, was a distinguished and prominent figure in early Boston. An officer in the American Revolutionary Army, Major Melvill was closely connected to many important early American patriots, including a long standing friendship with Samuel Adams; he also served with distinction alongside fellow officer Paul Revere in a Revolutionary Army artillery regiment which included Paul Revere. In addition, Melvill was regarded as a hero for being one of the “brave and patriotic band” who helped to unload the tea ships in Boston Harbor. From time to time during his life, his son, Thomas Melvill, Jr. would display a small glass vial containing tea leaves that were found in his father’s shoes after the Boston Tea Party. The vial remained a Melvill family couriosity for generations to come. Major Melvill was the subject of Oliver Wendall Holmes poem, "The Last Leaf"
William Melville (1850 - 1918) was a British law enforcement officer and the first chief of the British Secret Service, forerunner of MI5. William Melville was born son of a baker and publican in Direenaclaurig Cross, Sneem, County Kerry, Ireland. He immigrated to London in the 1860's and followed his father's footsteps as a baker before he joined the Metropolitan Police in 1872. He was once dismissed for subordination but was later reinstated. He was promoted to Criminal investigation Department. In 1882 he was chosen to be one of the founding members of the Special Irish Branch that was founded to work against Fenians, Irish republican dynamiters, and anarchists. Melville was posted to the Le Havre port. In December 1888 Melville returned to London and assigned to protect the Shah of Persia in his state visit. His duties later expanded to the protection of British Royal Family and he foiled the Jubilee Plot against Queen Victoria in 1887. In 1891 he began to campaign against anarchists by raiding and wrecking anarchist clubs and underground printing houses. He also revealed the Walsall Plot. 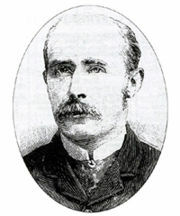 In 1893 Melville became Superintendent of Scotland Yard's Special Branch when his predecessor John Littlechild retired to become a private investigator. When he fired veteran sergeant Patrick McIntyre, McIntyre went to press and claimed that Melville had instigated the whole Walsall Plot himself. In the next ten years, Melville embarked on a large series of well-publicized raids against anarchists. He went to Victoria Station to personally arrest bomber Theodule Meunier. In 1896 Melville recruited Sigmund Rosenblum (later known as Sidney Reilly) as an informer in an organization he suspected to be involved with Russian anarchists. In 1901 he worked with Gustav Steinhauer of the German Secret Service to thwart a plot against the Kaiser during the state funeral of Queen Victoria. In June 1900 Melville met future stage magician Harry Houdini when he came to Scotland Yard to showcase his abilities as an escapologist. When Houdini released himself easily from the police handcuffs, Melville befriended him and reputedly learned lock picking. On 1 November 1903, Melville resigned as superintendent. According to the conclusions of author Andrew Cook, his biographer, which are not accepted by all historians, Melville then became the head of British Secret Service with the code name "M". He founded a private detective agency with one of his pseudonyms, William Morgan. Still, the service had small budget and on occasion Melville had to do the job himself. After 1903, when relations between Britain and Germany cooled, Melville lobbied the government to create a counter-espionage service. In 1906 Melville obtained German mobilization plans and investigated their financial support to the Boers. He hired a Courage Brewery representative in Hamburg to supply intelligence for him and in 1909 went to Germany himself to recruit more agents. Melville got what he wanted In October 1909 when the War Office authorized the creation of the Secret Service Bureau. It was divided into MI5 and MI6. His own section continued as a separate Special Section and he concentrated on looking for German spies. In August 1914 he eventually was able to identify the barbershop of Karl Gustav Ernst, that was the centre of a German spy ring. After the outbreak of World War I, Secret Service received more funding. Melville recruited more personnel for his section when it was attached to newly found G-section, that concentrated on investigating suspected agents. He also founded a spy school opposite the War Office at Whitehall Court. William Melville died of kidney failure in February 1918, aged 67 or 68, before WWI ended, and before the start of the Anglo-Irish War. It is interesting to contemplate how he would have fared against the 40 years younger Michael Collins.